this is a brand new custom made wooden chess/checkers board with a frosted acrylic tray. 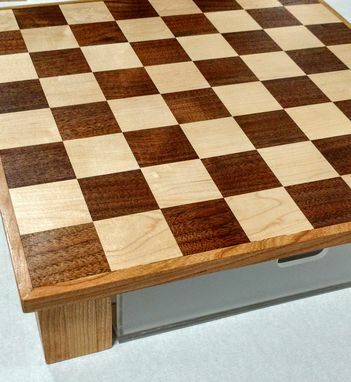 The "checkered" parts of the board are made out of maple and black walnut. 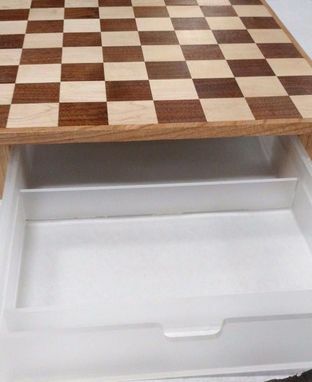 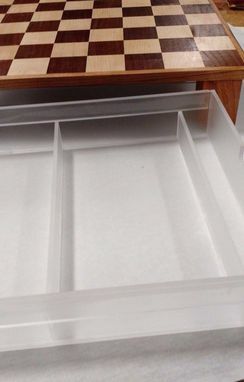 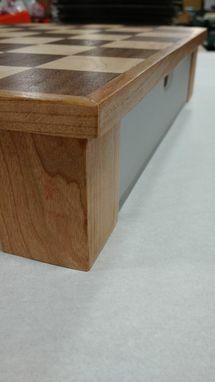 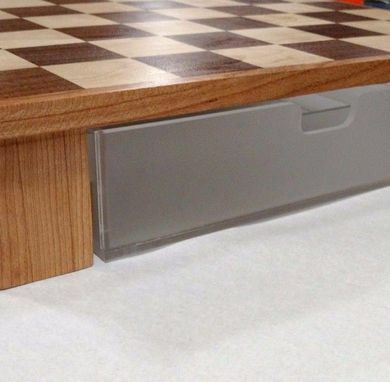 the drawer is made out of frosted acrylic, with dividers for your chess and checker pieces.